Fikri’s Take: For once, I feel as if we’re sinking our teeth into one of the more competitive categories of this year’s Oscars. Quite frankly, all five of these performers have been on top form for quite a while, and I can personally have no complaints about their inclusions. I’ve written extensively about George Clooney for his role in ‘Up in the Air’, a film and a performance that almost literally came in from nowhere to almost knock me off my feet. Certainly the film did, but a lot of the credit should go to Clooney for being able to channel…well, all of himself, basically, into the potentially tricky role of Ryan Bingham. I think he may well be one of the more flexible actors around. I do not mean by the variety of roles that he has performed up until now, but I do feel that more than any other actor, he’s able to be what we expect him to be in real life: genuine, sincere, and somewhat warm and gentle. It’s a tricky thing to balance, I think, and I find that a skill that is not as common in a lot of the other roles. Sure, other actors like Tom Cruise also do a similar thing (where they’re kinda of being naturally themselves rather than acting), but it doesn’t translate as well across many different roles. Which brings us to Clooney: for all of the charm and charisma that he brought to the role, where does George Clooney stop and Ryan Bingham begin? It’s an interesting question to pose, and it makes you realise that in this case, that is probably the greatest compliment you can pay to an actor for having an ability to blur the line between fact and fiction. The new teacher was suspicious of everyone. It is this line that Morgan Freeman himself must negotiate for his role as Nelson Mandela in ‘Invictus’. In stark contrast to Clooney, Freeman himself had such a demanding role that must, no matter what, not stray too far from the truth beyond the necessary. The film documents the relationship Mandela had with the captain of the Springboks team at the time, but within the film, they are not on-screen together all that much. The majority of it was carried mainly by Freeman. He does give off an aura of grandfatherly kindness and charm in a lot of the roles that he has played, and that is not so different here. After all, he is portraying one of the most respected men in modern times. Without much freedom to push and prod, I feel he did a very good job at capturing the essence of what Mandela is all about. Capturing the essence…now that is an equally difficult and tricky thing to do, especially when one is constrained by real life. Filmmaking is art, and art should be about the pushing of boundaries. I don’t think that he could push as much as he perhaps had wanted to, but within the space that he did have, he made it his own, and could very well be a winner. A similar thing could be said for Jeremy Renner himself. 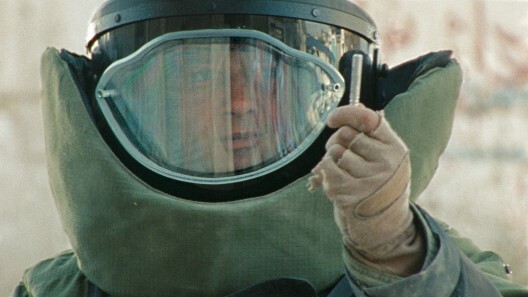 Though the film ‘The Hurt Locker’ is definitely based on real-life events that goes on regulary in Iraq, I think Renner finds himself straddled between the worlds Freeman and Clooney inhabited for their characters. His is not one that is particularly based on any real-life character (certainly not one on the same scale as Mandela), so in theory he should have the freedom to go about his business. Nevertheless, there is a certain reality that has to be portrayed, unlike Clooney’s Bingham in ‘Up in the Air’. The challenges that these actors face are unique, and I think it could be said that Renner’s performance as a somewhat off-the-hinge-soldier is one of the most unique ones of the year. I’ve written before that the biggest weapon he has in his arsenal is his eyes, and he used it to maximum effect. Could it be enough for an Oscar this year? I hope so, but deep down, I wonder whether people like him enough over Morgan Freeman’s performance. Unique is probably not a word I can use to describe Colin Firth’s performance. That’s not to say that he’s not a special actor; on the contrary, I believe he has the market cornered on the ‘repressed British man’, much in the say way that Hugh Grant himself specialises in the bumbling British type. Here, he plays that role to perfection, internalising all off the emotions, only to let it all intermittently in his own way. 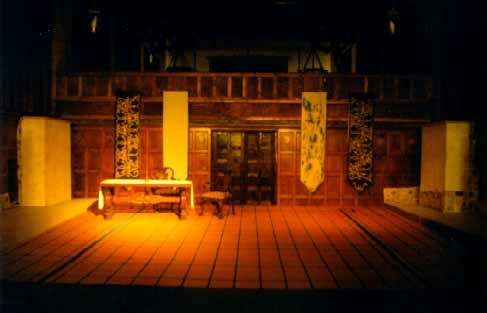 Which is why I say that his is not a unique performance, because it follows exactly the type that I had expected him to do, a type and kind in which he truly excels. I suppose we could say the same for George Clooney’s performance as well, but I feel that Clooney’s ability to make a potential jerk into a likeable one makes the difference here. In contrast with the rest, then, I feel that he excels at being Colin Firth, but while I admire his performance greatly, within the context of this particular awards show, I don’t know whether it’ll be enough to win. The Marlboro Man finally found the one for him. The same could be said for Jeff Bridges’s performance in ‘Crazy Heart’. I’m talking about the effect of that performance, in that it might not be enough. It does, however, stand out strongly all by itself, because I could feel how he relished the role he was given. How many actors can truly say that? I have read in interviews that this may well be his favourite role in his long and storied career, and that is no mean feat. An even bigger feat is that it comes out on the screen well. The idea that such excitement could come out in the way I had just described it may not seem conventional at first, but God bless the man and the actor. He truly deserves an Oscar for this. Unfortunately, there is a difference between deserve and will probably win. I’d be happy if I have an egg on my face for saying this, though, but I think Morgan Freeman will sweep home in this one. Fazil’s Take: I have not gotten the chance to watch ‘A Single Man’ and therefore, I am not in the right position to decide if Colin Firth should be receiving the honors. But based on past performance and how different he seems to be in this film, together with the fact that he has just won in this category at the BAFTAs, I say he does stand a chance. But let’s not forget his main adversary. That’s right, Jeff Bridges. I have not seen many of his film and have definitely not seen any of the four films that he was nominated for in the past but one can tell when an actor breaks away from his norm and tries something different. In ‘Crazy Heart’, he plays Bad Blake, who was a great country singer during his prime. Due to problems such as alcoholism, this one time legend has been reduced to playing at bowling alleys and bars during his late-50s. And we see Bridges here playing the perfect down-trodden and alcoholic musician, coupled with great singing that could have put Garth Brooks to shame. What was great about his performance was that you feel as if he is living that character off the set. It was so natural that it was difficult imagine him as someone else. Not to forget the expression he wore on his face during the more emotional sequences and the extra rough country accent that made him mumbles every time he speaks. ‘Crazy Heart’ is this year’s ‘The Wrestler’ and Jeff Bridges is this year’s Mickey Rourke. Only difference is he doesn’t have Sean Penn in one corner waiting to pounce at his victory. He will win. He looked high and low, but couldn't find his condom. Dammit! As for George Clooney, its hard seeing him in another role that is different than the one he plays in ‘Up in the Air’. If I am to play a 5-second clip of Clooney from a particular film of his, you will have a difficult time trying to discern which movie it is from, except perhaps ‘Syrianna’. Jason Reitman, the director and co-writer of ‘Up in the Air’ actually said that Clooney was the only one who could have pulled it off. Obviously, because the script was tailored to him, so that he may be himself. I don’t mean to insult him as I like him, but that would hardly be called acting. If you have seen him in his Oscar-nominated role in ‘Michael Clayton’, there really is not much difference here. Nevertheless, the man knows how to channel his emotions on screen to suit the requirements of the scene. But most importantly, we love him being him. There’s nothing better than an intelligent and fast talking character with a charm that makes all girls want to sleep with him and all guys want to be him. His winning in this category seems rather slim. The only way I see him ever winning Best Actor is if he tries to play something different than the smart talking professional that we are used to or if his nominated in a year with average contenders. Thus, not this year George. Morgan Freeman was great in ‘Invictus’ playing Morgan Freeman with a slight African accent. He was playing Nelson Mandela, a role ought to win him an Oscar. But though he has many perfectly-delivered lines, he does not command the sort of presence that Mandela commands. I feel that he did not lose himself in the role, like say how Forest Whitaker did when playing Idi Amin in ‘The Last King of Scotland’. In that Oscar-winning performance, not only was Whitaker different that his other roles, he also poured everything out until there’s not the slightest bit of American left in him. He was an African. Somehow for Freeman, I still see Freeman and I did not see Mandela. I don’t feel piteous towards his as I should have. 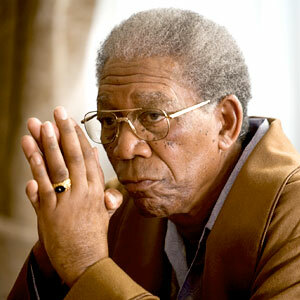 But as Morgan Freeman, this could just have been his best role yet, if you’re not to draw any comparisons to Mandela. We could see that he gave his best in this movie and only wish that he would have pushed himself slightly over the edge. Hopefully, that time will come in the near future. They found out why the engine didn't start. Many people are predicting that Jeremy Renner might win Best Actor. So many that I have decided that he would be my secondary prediction but I can say that I am just saying that for comfort. There’s no way he is going to win. In the past decade, there were only two unknown people (to me) who have walked away with Best Actor/Actress; Adrian Brody for ‘The Pianist’ and Marrion Cotillard for ‘La Vie en Rose’. Therefore, chances for a newcomer to receive the top accolade in the acting category seem rather slim. But if you were to discount all these past statistic of the Oscar’s, Renner gave a class performance in ‘The Hurt Locker’. The character demands so much from Renner and he delivers them. All the emotionally-charged sequences and the intense moments were played flawlessly. One also has to take into account the heat he had to endure while filming under the blazing hot sun in Jordan, while wearing the protective suit. This was a great display of acting under pressure. Renner deserves this, but not yet. I would also like to express my disappointment for omitting Sharlto Copley (‘District 9’) from this category. A behind the scenes guy who goes in front of the camera to deliver a performance such as that truly deserves some sort of recognition. So shame on you, Academy. Fikri’s Take: From one of the more competitive to one of the more mysterious. Mysterious in one way, at least; I failed to catch Christopher Plummer’s ‘The Last Station’ in time, and therefore I have to exclude myself from judging that particular performance. The Amish enjoys a lame laughter. Mysterious, too, is the nomination for Matt Damon’s ‘Invictus’ performance. Mysterious, because I have to admit that while I think he did a decent job, as I have written earlier, I do not know whether it is one that is particularly deserving of such a nomination. Once again, it has to be noted that he faced different challenges compared to many of the others as well. Like Freeman, his is a role that is grounded in reality, a reality that is incredibly important to be preserved. He cannot stray too much from the boundaries. At the same time, there has been whispers in some quarters that he just doesn’t look the part. That’s not to say that he’s not attractive. Far from it. In fact, he may well be one of the most pleasant faces to look at in ‘Invictus’. It betrays an innocence, a naivity, somewhat, of a man not entirely sure that the path he had taken is the right one. You feel that he’s about to say something when his racist father made another such comment, but he didn’t. He internalised it (has he been hanging out with Colin Firth?). He took the role of a man a lot bigger than himself, and without much room to operate it, gave it his best shot. I have to say that while it is a good shot, I don’t know whether his is a performance that will be enough to win. I don’t know if Woody Harrelson’s performance has enough in it to win, either. ‘The Messenger’, I feel, is one of the more underrated films of the year, and it is the understated performances of both their leads that made it a memorable film. If Oren Moverman directs his next films like this, then I’m all for it. A similar thing could be said for Harrelson’s performance. Quite frankly, though, I would have thought that his character can be defined as a leading man, rather than a supporting one. Perhaps this is to better improve his chances of getting a ticket to the Oscar ceremony? I’ve mentioned that the list of Best Actor nominees is a strong one, and I don’t know if he would have gotten unto to that one. But if that is the case, where is Ben Foster? While Harrelson grabs some of the spotlight unto himself, his is a performance that plays off Foster’s for chemistry. If there is an award for on-screen acting duos, I am sure they would have a good shout of winning. As it stands, Harrelson’s inclusion is one that is nice to acknowledge, but further shrouds Foster’s exclusion in mystery. After the WWE, Stone Cold Steve Austin joined the army. …if Christoph Waltz was nowhere to be found. 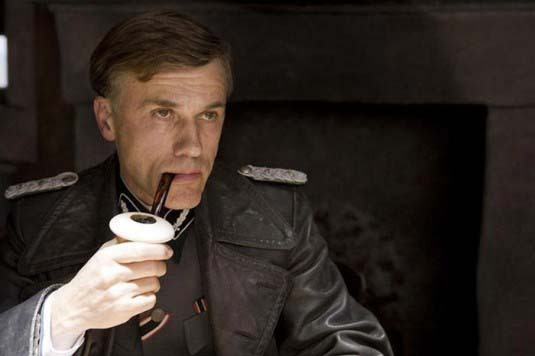 If Inglorious Basterds were never to be made, and Colonel Hans Landa remained a figment of the mad genious that is Quentin Tarantino’s mind. Unfortunately for Mr. Tucci, that is not the case. What is the case is a spell-binding performance, a character created out of nowhere that takes a lot of other people’s performances, mixed it all into a potent potion, and drank as someone you cannot take your eyes off. The closest, I feel, of the characters who came to this is Jeremy Renner’s in ‘The Hurt Locker’, but that is an intensity that is laced with arrogance and control. Here, we have much of the same kindness and charm, but with an amped up serving of evil. Let’s face it, much like Heath Ledger’s Joker last year, Waltz’s Landa is the one to beat, the one that the others make up the numbers for, and the one that will almost certainly walk away with the prize. Enjoying your victory already, Mr. Waltz? Fazil’s Take: Christoph Waltz owns this award. There’s just no point talking about it. Matt Damon wasn’t that impressive in ‘Invictus’, save for the physical challenges he had to endure during and prior to filming. 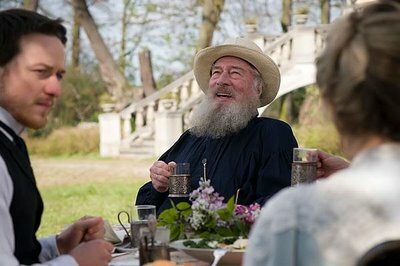 I have not seen ‘The Last Station’, so I cant say much for Christopher Plummer, except that he gave a great performance last year in ‘The Imaginarium of Doctor Parnassus’ and provided superb voice acting in ‘Up’. Woody was good as always in ‘The Messenger’ and also gave two other excellent performances last year courtesy of ‘Zombieland’ and ‘2012’. Stanley Tucci had a breakout role in ‘The Lovely Bones’, playing the creepy Mr. Harvey, and if not for the mediocrity of the movie, he might have a chance to win. And Peter Capaldi was snubbed for ‘In the Loop’ and Alfred Molina for ‘An Education’. So that leaves us with Mr. Waltz as the undisputed Best Supporting Actor of 2009. Now that’s a bingo! All Fikri wants for breakfast is some more money to buy breakfast, while Fazil probably had his roti canai already. Dammit!